Canada’s garden centres are to some extent limited by the colder climate and shorter growing season of their region. However, in many instances this has proved a useful incentive to demonstrate how the traditional garden centre model can be extended and diversified to incorporate a greater number of gardening-related products and experiences. Looking at market profiles, there are no dominant players and 90% of Canadian garden centres are single independent stores, 7% are part of a small chain, while just 3% are part of a larger chain, according to Garden Centre Magazine. The industry has 2,240 businesses which employ 10,138 people. The annual growth was 3.7% between 2012 and 2017, and revenues now total $4bn per annum. Garden centres are one of the largest distribution channels for nursery products, accounting for 19.6% of the total sales for this category of goods. In terms of diversity, centres reported the following add-ons: Gift shop (67%); Custom container creation (50%); Landscape design services (40%); Apparel and/or accessories (30%) and Café (10%). Comparing spring sales in 2016 against the same period in the previous year, 53% of garden centres reported increased sales, 23% said sales were static, and 23% said that their sales had fallen. of garden tools and supplies, including trees, shrubs, plants, seeds, bulbs, turf and animal feed to domestic households as well as the farming and agricultural community. Increased expenditure on residential renovation projects and an aging population have provided the industry with a welcome boost. Even though the availability of lower-priced product options from supermarket chains and other external competitors has persuaded consumers to make nursery and garden purchases outside of the industry, garden centres have managed to combat this by offering a broad range of specialty items and providing a superior service which includes offering personalized specialist advice. Sustained external competition is leading industry operators to adopt a variety of measures to differentiate themselves. Strategies include taking on more experienced workers to enhance their standards of service and expanding their selection of niche products, which almost invariably offer higher profit margins. The latest hot trends include a range of ‘grow your own’ edible products and the development of a selection of miniature / fairy gardening items. 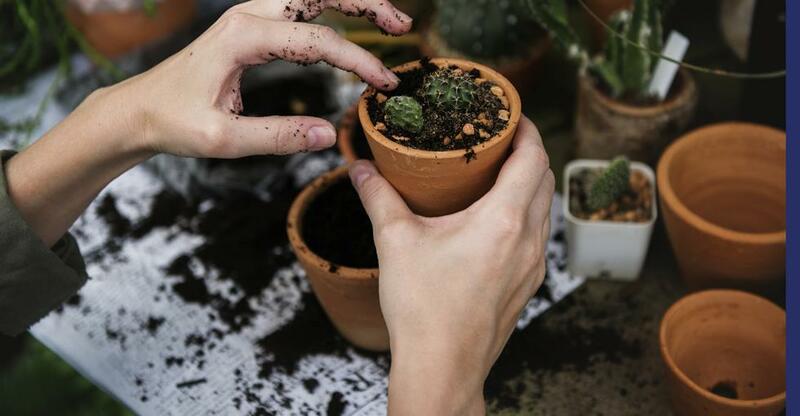 Demographic changes and new economic realities suggest that Canada’s aging population are downsizing and, where appropriate, looking to garden centres to manage tasks they would once have completed themselves. Alongside this, a new generation of younger and less-experienced gardeners are now asking for horticultural advice, and the fact that this is also a digital generation is forcing garden centres to develop high-quality online resources too. Though the economy has certainly been a challenge, it has also brought the concept of a ‘staycation’ which means some households have upgraded their gardens in preference to taking a vacation. The threat from supermarket rivals has seen the industry focus on customer care plus premium knowledge and advice. In addition, actively promoting greener values has also helped convince consumers that the industry has a great deal to offer them in terms of added value. Certain improvements and alterations to garden centres may require a building permit, and you will certainly need a business license to trade, and will also be expected to inform the tax authorities. You may also have to ensure that all signage is fit for purpose, and must be insured against public liability risks. In addition, centres employing staff will also be expected to comply with employment legislation. Any centres who plan to import nursery stock from abroad will, of course, need an import permit to do so. Though generic management and business administration skills are important, and a good customer-centric approach is vital, those planning to develop the potential of a garden centre must have industry relevant skills. A degree in horticulture would be an ideal start, but a period spent working in the business and absorbing its knowledge and practices could be equally valuable. Owners will be expected to have a good knowledge across diverse areas: anything from lawn-care advice to tree-pruning tools and strategies, cacti and succulents to bonsai, and much more besides. Buying a business is usually a quicker route to profitability than starting from scratch. Even so, you must still research any prospective sale with the utmost care to establish its true worth and future potential. Is the site close enough to urban areas to attract customers? And are there any major rivals on your doorstep? Do you understand the present owner’s stocking arrangements? Are there opportunities to diversify, and is there enough space to accommodate your new plans?